Embracing Cloud: What is the Cloud? These posts are taken from my book “Embracing Cloud: How to migrate your ICT Services into the Cloud.” The full book is available via Gumroad as a PDF or Amazon in Kindle Format. The full list of posts is here. The Cloud is seen as a reformation in the delivery of ICT Services. Other major evolutionary steps in the past few years have included the distributed ICT model, the Internet, and some would argue, Social Media. The Cloud reflects a paradigm shift from capital / asset centric delivery of services to delivery of services as an operational expense, analogous to a utility such power or water. 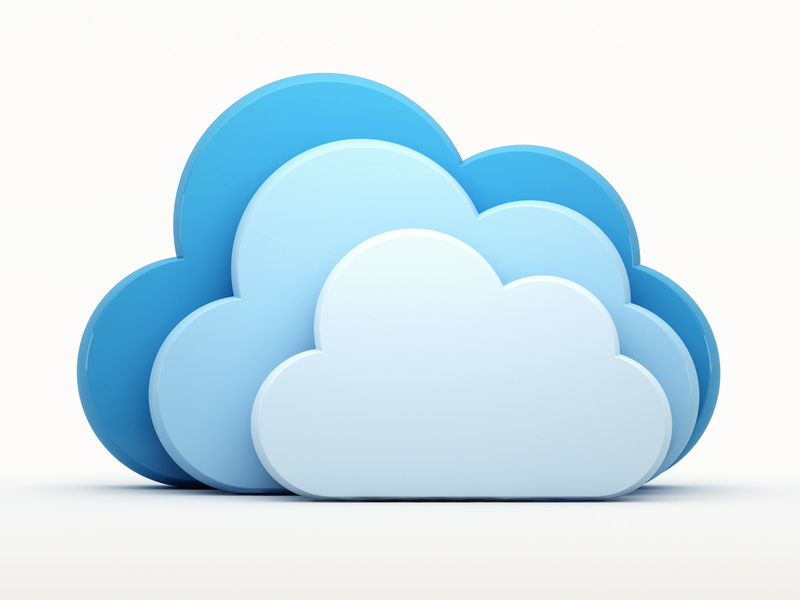 Cloud computing has the potential to deliver significant benefits in a number of areas. These include both quantitative financial benefits and qualitative benefits related to service quality, timeliness and consistency. There is a time factor to the uptake of the cloud that represents a potential risk to ICT Services. It is expected that within a few years that the majority of large, global ICT services companies will only deliver their services via a cloud model. That means that as well as the opportunities that cloud brings today, it brings a risk that if the enterprise does not position itself for a potential environment where the majority of its ICT services can only be delivered via cloud, then it will fall into an ICT backwater where services become increasingly expensive and ability to change and adapt ICT services in total, will be slowed or impossible. – Operating cost vs Capital Cost. Cloud comes in four general models though a fifth is emerging. This is a cloud that is deployed for the exclusive use of a single organisation. As a result it is a cloud that can be most customised and controlled, while it has the lowest economy of scale. This is a cloud that is shared by a number of organisations with common needs. It is less able to be customised, is potentially more secure, and has greater economy of scale than a private cloud. An example of this could be multiple enterprises within a company group sharing a single instance of Microsoft Exchange in order to deliver email services. This is a cloud that is available to anyone via the Internet. It is the most commoditised, has the greatest economy of scale, and the least amount of control. This is a cloud model that comprises a mixture of public, private, and / or community clouds. It has the advantages of other models however is likely to be the most complex and difficult to manage. The consumer cloud is loosely defined as any cloud service that an individual can access and pay for as opposed to an organisation. It is likely that this model will strengthen as we see the slow move from the organisation defining an individual’s identity as opposed to the individual being recognised as a valid and authorised identity in their own right. There are many examples of this type of cloud; iCloud, Google Drive, Evernote, Amazon Cloud Drive, Outlook, SkyDrive, to name a few. This is the primary area where we see the opportunity, and risk, of bring your own device (BYOD) arise. It is important to note that when we use the word “service” in context with cloud it relates to the ICT services that can be delivered from a cloud service as opposed to the method and process by which those services are managed, i.e. ITIL. Infrastructure as a Service (IaaS) – a provider supplies raw computational capacity (memory, processor, storage) and the customer is responsible for everything that is delivered from that infrastructure. Platform as a Service (PaaS) – a provider supplies computational capacity, an operating system and middle-tier software components. The customer is responsible for the application and any client access devices. Software as a Service (SaaS) – a provider supplies computational capacity, operating systems and the application. The customer is only responsible for the client access device. Network as a Service (NaaS) – capability provided to the cloud service user is to use network/transport connectivity services and/or inter-cloud network connectivity services. NaaS involves the optimization of resource allocations by considering network and computing resources as a unified whole. Storage as a Service (StaaS)- a business model in which a large service provider rents space in their storage infrastructure on a subscription basis. The economy of scale in the service provider’s infrastructure allows them to provide storage much more cost effectively than most individuals or corporations can provide their own storage, when total cost of ownership is considered. Security as a Service (SECaaS) – a business model in which a large service provider integrates their security services into a corporate infrastructure on a subscription basis more cost effectively than most individuals or corporations can provide on their own, when total cost of ownership is considered. These security services often include authentication, anti-virus, anti-malware/spyware, intrusion detection, cryptography, and security event management, among others. Data as a Service (DaaS) – a cousin of software as a service. Like all members of the “as a Service” (aaS) family, DaaS is based on the concept that the product, data in this case, can be provided on demand to the user regardless of geographic or organizational separation of provider and consumer. Additionally, the emergence of service-oriented architecture (SOA) has rendered the actual platform on which the data resides also irrelevant. This development has enabled the recent emergence of the relatively new concept of DaaS. Database as a Service (DbaaS) – hosting of a Database within the cloud. Test Environment as a Service (TeaaS) – sometimes referred to as “on-demand test environment,” is a test environment delivery model in which software and its associated data are hosted centrally (typically in the cloud. API as a Service (APIaaS) – is a service platform that enables the creation and hosting of APIs (application programming interfaces). Backend as a Service (BaaS) – also known as “mobile backend as a service” (MBaaS), is a model for providing web features such as user management, push notifications, and integration with social networking services and mobile devices. There are a number of other services that have emerged and matured, or emerged and died. Generally, the three top-level services are; IaaS, PaaS, and SaaS. On-demand self-service End user can manage their own services, via a portal or tool, with no human interaction required. Broad network access Services are available over any network and consumed in standard ways on standard devices. (e.g., mobile phones, tablets, laptops, and workstations). Resource pooling The provider’s service is a shared (multi-tenanted) architecture that the end user does not have control of except in the broadest terms. Rapid elasticity Services can be rapidly provisioned and decommissioned by the user. Measured Service Services are a “pay-as-you-go” and “pay-per-use” model. Usage can be controlled, reported, and monitored in order to provide transparency for both the provider and end user. Supports XaaS “Anything else” as a service. I.e. Desktop, Voice, and Database. Supports Private Cloud Single tenant model. Supports Community Cloud Multi-tenant model. Supports Hybrid Cloud Integration with other Cloud services the end user may consume outside of the IaaS. Supports Public Cloud Allows for Public Cloud services to be delivered. Heterogeneous In order to reduce provider lock-in it is important that any service is built on technology that is heterogeneous. Auditable The service and its components are able to be audited by an agreed authority utilising a common standard. I.e. CoBIT. Standard Service Delivery Lifecycle The service and its components are managed by an agreed service delivery lifecycle utilising a common standard. E.g. ITIL. Standard Service Levels The services have common service levels. For example, Platinum, Gold, Silver, and Bronze. Common / Open Toolsets Tools for the monitoring, measurement, and performance of the service are common and open. Common Architecture The service is built on a common architecture. Workload Portability The service has the ability to be moved from provider to provider or provider to private, controlled by the end user, at will. This is an emerging characteristic. Commoditised Services have value to the consumer, are of uniform quality, (as distinct from capabilities), and could be delivered by multiple suppliers. From one service consumer’s point of view, services providing more or less the same capability are consumed as utilities – complexity is fully hidden from the consumer and use of the service is intuitive. Configurable not Customisable Services are pre-packaged in terms of the capabilities the service delivers. Services are configurable but not customisable. Configuration is a capability provided by the service, whereas customization requires a change to the actual service. Augmentable Services are able to be augmented, meaning that the service provides capabilities allowing additional capabilities to be introduced without changing the service itself. Technology Independent Services are independent of underlying technology. Independence is achieved by way of interoperability, open standards, and formats. Device Independent Within the constraints of a device’s physical capabilities, services are able to be consumed on any device (tablet, mobile smart phone, PC). Transportable Service workloads are able to be moved between different Cloud deployment instances, i.e. between community and private instances. Compliant Services comply with known and accepted standards. Discoverable Services are able to be “advertised”, promoting awareness of the service’s existence and key information, such as capabilities, to potential consumers. Well-Defined and Understandable Services are expressed by way of capabilities delivered not functionality. The service’s capabilities are well-defined, allowing easy evaluation and comparison by the consumer, and understandable by the consumer irrespective of their technical knowledge. Secure Delivery Services are delivered in a manner that complies with standard security models, architectures, and tools. Secure Content Information (in the broadest context) accessed and manipulated (in any way) via the service occurs in a way that complies with information security requirements as defined by the organisation or company. Reliable Consumers can be assured that the service is available when required and meets agreed and defined service levels. Scalable Consumers can be assured that performance will continually meet agreed and defined service levels. Measured Services are able to be measured against their service levels. Subscription / Usage Consumers are charged on a subscription or usage basis. On-Demand Services are able to be measured against their service levels. Self-Configurable Services are able to be configured by the consumer without the need for service provider involvement. On-Line Services are accessible via the Internet. Self-Managed The service is able to be managed and monitored by the consumer without the need for service provider involvement. Self-Supported Sufficient resources are available on-line by which the consumer can self-support without the need for service provider involvement. Re-Brandable The service is able to be re-branded / white labelled. Graceful Retirement The consumer is able to gracefully de-provision the service and be assured that all information (broadest context) associated with the consumer’s ’se of the service is able to be extracted and, if required, removed. New Services The Cloud provides an entirely new range of programmable (primarily web) services. For the application this provides opportunity and complexity. For example, Single Sign On services to a Cloud service provides ease of use for the enterprise, increased security, however integration is likely to be complex and challenging. New Platforms New platforms are emerging in the Cloud services space that provide opportunity (such as elasticity) and challenge (such as the movement off proprietary onto open platforms). New Development Environments Changes in development platform will have a significant impact on coding, testing and deployment. Opportunities present themselves in terms of scalability and cost. New Architectures Developing applications that can scale exponentially will require changes in development approach. For example, scaling web-front end to manage millions of instances or building to manage a DDoS attack. New Partners & Evolution of Existing Partners In order to leverage Cloud development, you may need to pick new partners. In addition, in order to transition Legacy systems, you will need to ensure existing partners are evolving to Cloud themselves. These posts are taken from my book “Embracing Cloud: How to migrate your ICT Services into the Cloud.” The full book is available via Gumroad as a PDF or Amazon in Kindle Format.